I enjoyed trying a few new recipes this past week. Sometimes I just need a little (or big) nudge to actually move on something. This challenge did that for me - and a few of you too! 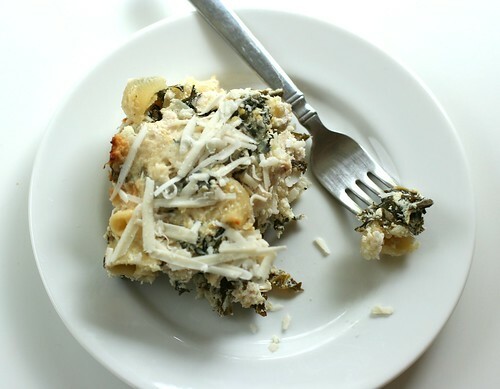 This casserole took me for-ever to make - poach the chicken, wash and trim the kale, shred the cheese, zest the lemon, cook the pasta AND I thought the finished product was nearly inedible. I didn't care for the taste the lemon added at all. My other complaint was that it was terribly dry. The ricotta should have been mixed with chicken broth or milk or something. Needless to say I won't be making this again. These were easy to make and quite tasty. 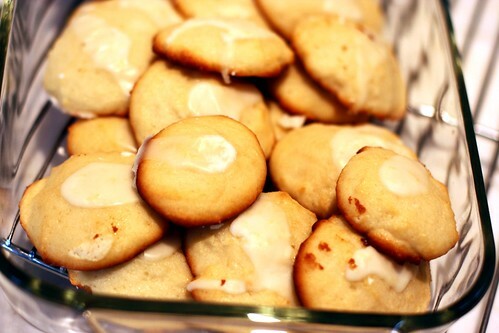 Their texture was more cake like than cookie. Think I like a little crunch in my cookie and while these were tasty I probably won't make them again. Perfect example of not reading directions - I didn't purchase GRAND size cinnamon rolls, I bought the regular size instead. 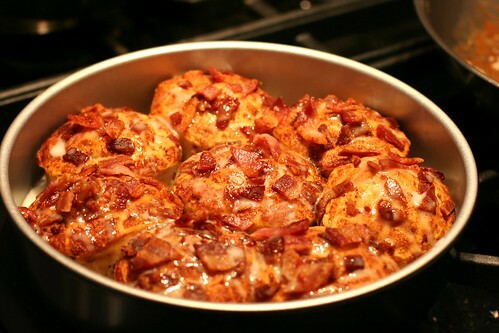 It was not possible to wrap the bacon into the regular size so I sprinkled bacon pieces on top before baking the rolls. After frosting them I sprinkled some more on top. These were meh. It had everything to do with the packaged Pillsbury cinnamon rolls which really weren't that great. I love this idea, though and I bet it could be really great with the right cinnamon rolls. All in all, an underwhelming bunch of recipes. I did enjoy the challenge though. I'm going to try it again this week with a goal of accomplishing 2 of my pins. Right now I'm thinking of the feta asparagus and Ina's blueberry coffeecake. What about you? Are you in? Thank you England Street for playing along. She made some wall art from Scrabble tiles. My sister, Emily made a handful of recipes from her boards - blonde brownies, strawberry shortcake cookies and zucchini muffins. Leah also made some brownies and a roasted red pepper pasta! Mama Monkey accomplished 3 recipes from her Boards - Vegan meat balls, quinoa salad, and green cake muffins. She had the great idea of starting a board for her completed Pins. Great idea! I copied her and started one too. Thank you all for your camaraderie. If you'd like to join in this week please leave a comment or add your blog or Pinterest address to the Linky below.